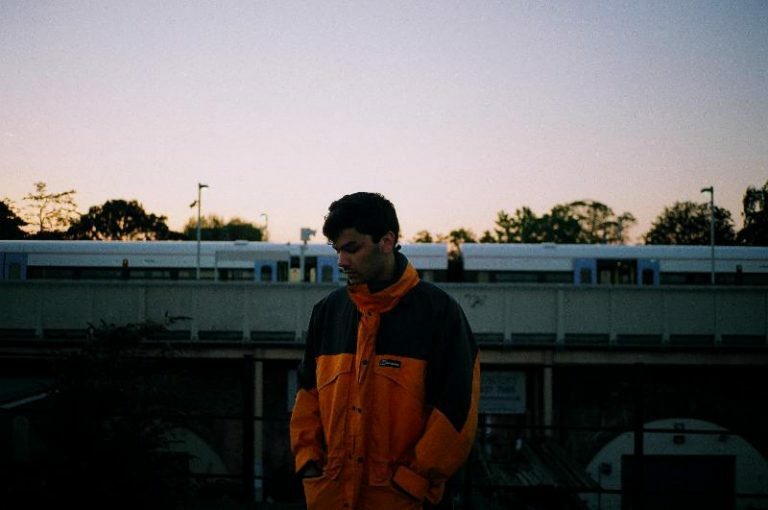 Dark and sultry artist Jamie Isaac is coming to the US to tour for the first time since releasing his stunning debut album Couch Baby via Marathon Artists. His lush new sound of hauntingly mesmerizing and romantic electronic ballads, tinged with jazz and hip hop throughout makes this brilliant debut one of our favorite new albums. The South East London native got a chance to re-visit the album for a re-release of Couch Baby which features covers, remixes and collaborations with Allan Kingdom, Denzel Curry, Salomon Faye, and Wiki and Sporting Life (formerly of RATKING). Before heading out on tour this Thursday, Jamie Isaac spoke to us about creating the album, his early influences shaping his sound, and what he’s looking forward to most with his upcoming US tour. How has it been since releasing your debut Couch Baby? It’s been great, a fully refreshing and relaxing time, when you spend so much time writing and recording an album like I did sometimes it’s hard to see the bigger picture in terms of where you would like the music to go, but as soon as it was sealed and in a physical form in my hands you can start experimenting again with genres and styles. When do you know a song is finished? Do you still ever look back and have new ideas for old songs? Sometimes you never really know, there are points where I listen back to the album now and think ‘I could have done this there’ but you have to have the confidence in yourself to say that sometimes less is more, you can add and add to a song forever if you wanted to but sometimes there is beauty in the simplicity. On a related note, how was it being able to revisit the album/ add new remixes, songs and covers with the new re-release via Marathon Artists? It was again very relaxing, it was a pleasure finding and asking so many other artists like Allan Kingdom, Wiki, Denzel Curry etc- artists I respect and have wanted to work with for some time now. hearing their take on the music was a great feeling and the additions of all the features on this album have lifted the tracks. What helped you find and form your sound when creating Couch Baby? Has it changed since then with any new music you are creating? I was listening to a lot more recent music, a lot of early 2000s R&B and kind of wanted to make an album that had all the emotion and style of a Chet Baker record but updated and maybe sometimes more aggressve. I wanted to make an album that could be performed live well, and have an impact when people first heard it. How has it been performing these songs live? Are you excited to bring the live show to the US? What are you looking forward to most about the tour? It’s been a lot of fun, it’s been different from the other records I brought out- mostly because people can actually move to it, it’s great seeing people dance to it, and that’s why I’m excited to go to the U.S. just seeing more people move to it and being around that excitement. Were you always involved with music growing up? What made you decide to pursue it as a career? Yeah I was always around music, my parents are big music lovers and it was always played loud and for long periods. I sang in a choir when I was a kid and that helped shape some of my music for sure, there are definite classical influences in the sound. It was never a conscious decision to make a career out of it, it came very naturally and I just kind of fell into this. Not like it hasn’t been a struggle sometimes but it’s been fun so far. What are you working on now? Are you just focusing on tour or are you still writing for any future releases? I’m doing both really, I’m writing for my second album, got some demos together and going to take them into a studio soon, I’m recording when I’m in the U.S in a couple cities so no time to rest too much, but thats how i like it. What do you listen to while on tour? Well, we listen to a lot of my music, [it] helps us get in the mood and gives the band ideas on how to recreate it, the set is always changing and I’m sure two shows won’t be the same while were out there. Other than that well be listening to a lot of jazz and whatever we find out there we will listen to. Are you going to get the chance to explore any cities you tour in? We hope so but we have a tight schedule, if we are able to explore it might have to be at like 3 in the morning but I’m sure the band is up for that. What cities are you most looking forward to playing? All of them, it’s such a dream of mine to come to America and perform and tour my music, so I’m coming wth an open mind and can’t wait to experience everything you have to offer.